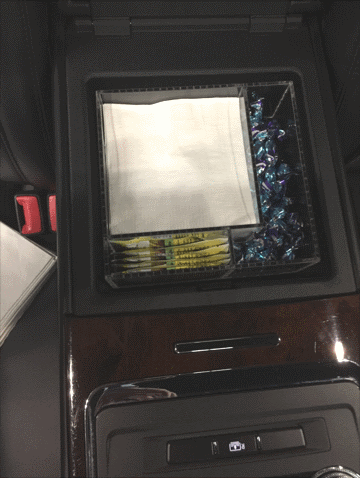 Metropolitan Limousine takes quality and client experience very seriously, from the vehicles to the driver all the way down to the mints and cocktail napkins in the armrests of their vehicles. They needed a way to organize the armrest amenities in a classy and stylish way. When they discovered Organize My Drawer, they were able to organize the armrests while maintaining their high level of sophistication with quality custom acrylic organizers. Metropolitan Limousine has been operating a private chauffeur service in the Chicago area since 1972. 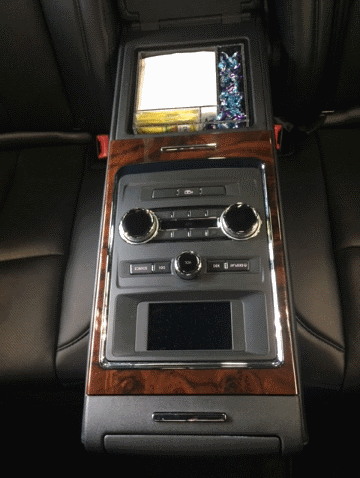 The company was founded on the standard of providing the highest quality limousine service available. Locally, Metropolitan Limousine represents all the city’s top luxury hotels as their in-house car service. Most of Chicago’s major corporations, private firms and business leaders are represented as well. 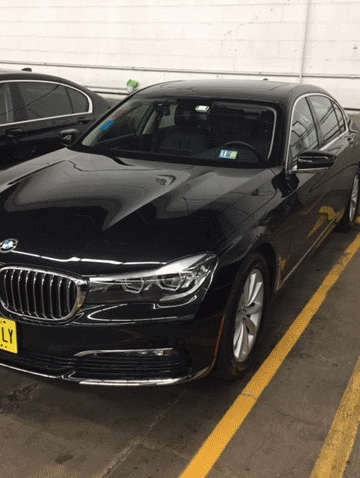 Metropolitan Limousine stores client amenity items in the armrests of their fleet of Lincoln Continentals and BMW 7-series vehicles and they were lacking a custom amenities organizer. “If the armrest is raised to allow for a third person, the amenities get jumbled up, resulting in poor presentation if the chauffeur forgets to check and reorganize,” according to Perdue. Lincoln’s vehicle shift from their older Towne Cars to the new Continentals left him without a solution. He was “scrambling for a replacement” when he found Organize My Drawer. According to Perdue, “Organize My Drawer has been a big help.” He designed the armrest organizers using OMD’s easy online design tool. He made one design for the Continentals and another for the 7-series. And, because OMD does not have minimum order requirements, Metropolitan Limousine can order the organizers whenever they need them. The organizers are shipped fully assembled and ready to use. In the event the organizers get messy, they can be washed using mild soap and water or put in the top rack of a dishwasher. Our passenger armrest compartment now has a "locked in," fool-proof presentation of organized amenities for our clients. This is a beautiful product - crystal clear plastic that looks like real crystal and sparkles when the light glances off the dove tail construction. It was a lucky day that I came across Organize My Drawer. Metropolitan Limo has every 5 Star hotel account in the City of Chicago for a reason - we're simply the best. If the armrest is raised to allow for a third person, the amenities get jumbled up, resulting in poor presentation if the chauffeur forgets to check and reorganize...Organize My Drawer has been a big help.